The foundator to the style we know today as Gojuryu. Kanryo Higaonna had three famous famous students - Juhatsu Kyodo, Chojun Miyagi, and Seiko Higa. According to history, Higaonna is believed to have lived in China for a long time and there, learned Kung Fu from a master named Tou Ruko (Ru Ruko). However, it is disputed that a Kung fu master would have lived with this name at this time. Thanks to Higaona's efforts to gather and teach his students in Martial arts in Naha tea, Gojuryu exists today. He started training karate under the direction of Kanryo Higaonna at the age of 14. 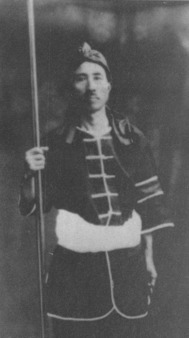 He studied for 14 years under Higaonna until his death in 1915. Miyagi sought to bring in Gojuryu karate as part of the physical education of the school system. He was one of the last students to study for Kanryo Higaonna, he continued to study for Chojun Miyagi. Higa founded his own dojo already in 1931. Higa’s father was a cousin of Kanryo Higashionna which is what allowed Seiko Higa to learn so much in a shorter time. He learned Sanchin and Seisan from Kanryo. He trained with Kanryo’s first teacher Seisho Aragaki for about three years. He also learned Kakufa kata from Gokenki. Higa's ideas and methods of karate differed to a large extent from Miyagis .One of Higa’s early and foremost students were Kanki Izumikawa.. Seiko Higa and Kanki Izumikawa went to the island of Saipan to teach karate for two years in 1935. Upon their return to Okinawa Higa recognized Izumikawa skills and allowed him to copy the secret text known as the bubishi. 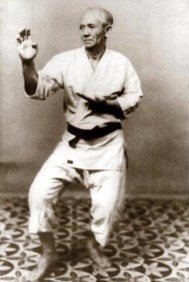 Chojun Miyagi saw karate as the physical education of youth as Judo and kendo. He sought to bring in the karate in the school system. Higa, on the other hand, continued to teach karate as Martial arts in Naha Okinawa. Higaonna and Higa's father were relatives and best friends. When Higa grew up as a child he took part of his father's and Higaonna's view of karate. Throughout his life Seiko Higa taught as he had been taught and sought to preserve the old ways of Naha-te as he initially learned from Kanryo Higashionna. It is often said that Seiko Higa stayed closer to Kanryo Higashionna’s teachings than Chojun Miyagi did. He was a well respected master and pillar of Goju-Ryu on Okinawa. He was one of Kanryo Higaonna's original students.Kyoda was the most senior student of Kanryo Higashionna and spent the most time with him overall. It’s believed he was the only one to learn all four kata that Kanryo Higashionna taught: Sanchin, Seisan, Sanseiru and Pechurin. Both Jutatsu and Miyagi later on learnt together from Higaonna. He did not share Miyagi's view of the continued development of the Karate after Higaona's death. Kyoda was faithful with Higaona's style and did not change the techniques. He formally named his style Tou’on-Ryu after his main teacher Kanryo Higashionna. Tou’on is an alternative pronunciation of Higashionnas name .He passed away in 1968. Two of his main students who carried on the style were Kanzaki Shigekazu and Katsumi Murakami. Izumikawa was one of the first to establish dojo in mainland Japan. He established his dojo in eastern Japan Kanegawa district in 1934 and became the first to establish Okinawa Gojuryu Dojo in Japan. Izumikawas Goju-Ryu Karate spred to to Hawaii and South AmeriKa. Izumikawa was an authority of Okinawa-Goju-Ryu in the Japanese mainland until his death in 1969. He was graduated 10 Dan in Gojuryu at his death. Izumikawa's first teacher was Juhatsu Kyoda, they were relatives. Izumikawa in 1928 went on to study for Seiko Higa and became one of his foremost students. He carried on the legacy of Kanryo Higashionna and Seiko Higa, teaching old style Goju-Ryu (Naha te) karate jutsu on the mainland Japan. 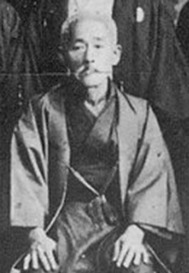 Hanshi Naganuma began training in Izumikawa's dojo in 1964. He trained there with Kanki Izumikawa and the eldest son Hirofumi who succeeded his father after his death in 1969, He then contiinued to train wth the succesor Hirofumi who unfortunatly died at young age in 1974. The continued development of Gojuryu became more in sport karate form during the JKF and the original system and the techniques began to erode. Naganuma is one of the last of the generation who has experience of Goju-Ryu Karate in the real fight. He has always been opposed to the karate's development in sports direction and has wanted to retain karate as a martial arts. Hanshi Naganuma chose to preserve the old tradition and founded Yuzenkai along with some of Izumikawa's older students who wanted to preserve the old traditon of Martial arts. Hanshi Naganuma is Hanshi 10thDAN in GOJU-RYU international KARATEDO-KOBUDO Union Yuzenkai. In 2013, he transferred the function as Kancho to Shihan Omoto, and took the function himself as supreme adviser YUZENKAI. The traditional old Goju-Ryu Karate has been passed on to us to preserve by Hanshi Yoshiaki Naganuma and his eldest Shihan Isamu Kato. The name YUZENKAI is formed from their first name to honor them. Hanshi 9 Dan Gojuryu International Karate Kobudo Union. 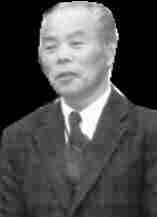 Kancho Omoto has studied Nahate Gojuryu Karate since 1973 under Hanshi Yoshiaki Naganuma. When Omoto received its first degree black belt, a major change occurred in the karate in Japan. All old original quarters were changed to fit into the standardized Japan Karate Federation (JKF) regulations. Omoto who learned the original techniques feels a strong interest in developing and preserving the original Gojuryu techniques. Omoto also believes that today's modern karate lacks a proper philosophical and ethical basis. The modern sports karate has lost the old values. 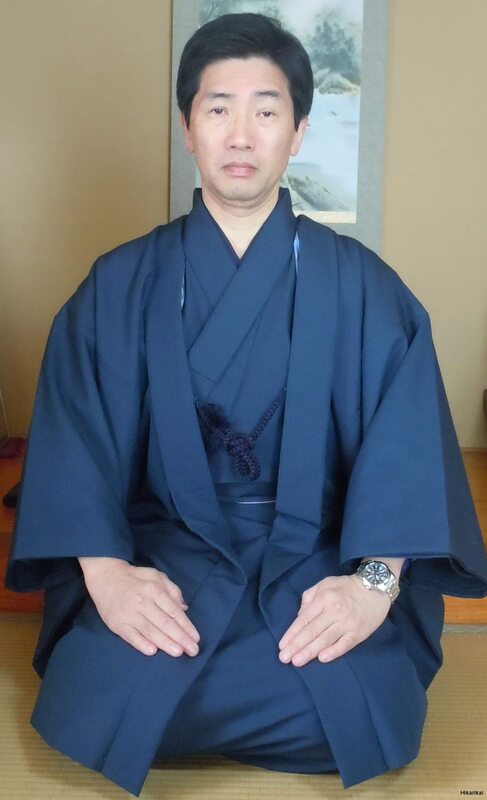 Omoto teaches Philosophy in High School for 35 years. He has a strong conviction that proper philosophical and spiritual research is needed in Karatedo. Erik Nilsson, Branchchief Sweden and Vice President GIKKU ,YUZENKAI , North Europe. Kyoshi 8 Dan Gojuryu International Karate Kobudo Union. 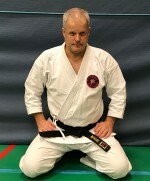 Erik began training shitoryu karate in 1971. In the early 1980s he came into contact with Gojuryu karate when he trained for Takashi Masuyama, Östermalms karate club. In 2013 he was given the opportunity to develop and deepen his interest in traditional Okinawa Gojyryu and Ryukyu KpbuDo when he started his collaboration and studies under Kancho Omoto GIKKU. In 2015, Erik received Shihan's license after graduating from study of the advanced Gojuryu course for Shihans in Japan. At Kancho Omoto's visit to Sweden in 2016, daily training was held with the emphasis on Ryukyu KobuDo . 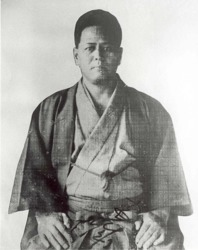 The first Yuzenkai training camp was held in Sweden led by Kancho Omoto. A renewed intensive training study with Shihans in Japan in 2018 ended with Erik receiving the license as Kyoshi, Gojuryu International Karate KobuDo Union, Yuzenkai and the 8 Dan Gojuryu and 7 Dan Ryukyu Kobudo degrees. Within Yuzenkai, we strive to explore the original Gojuryu techniques that have largely disappeared due to karate's adaptation to the modern competition systems. We want to preserve and advance the knowledge of the original techniques adapted for martial arts, self-defense in order to survive. Yuzenkai means "Karate Group for Bravery and Highest Goodness". YU and ZEN are also the Japanese characters for Kancho Omoto's two teachers Yoshiaki Naganuma and Isamu Kato. within Yuzenkai we study Nahate Gojuryu. We see the kinship with the other styles that emerged in the Nahate district. Gojuryu, Toonryu, Ryueiryu and Uechiryu. Especially the first three, all of which can be derived from Ryu-Ryuko, who is believed to have taught Kanryou Higaonna. Yuzenkai Ryukyu kobudo includes the weapons Sai, Tonfa, Kama, Bo and Nunchaku.